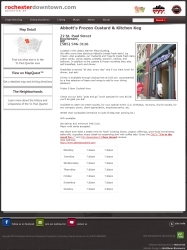 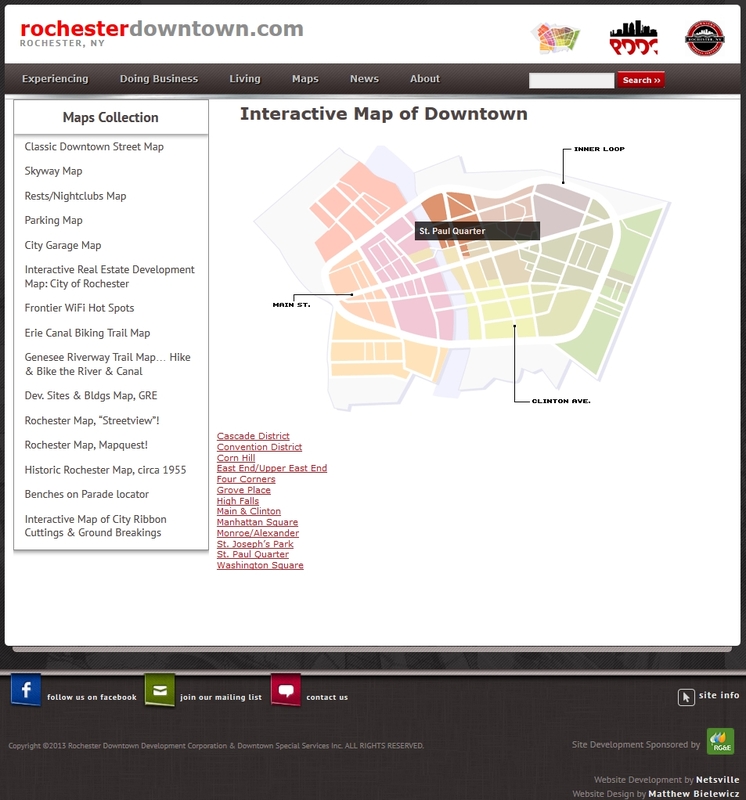 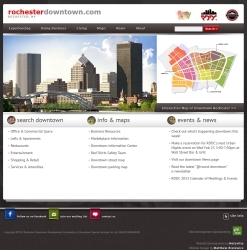 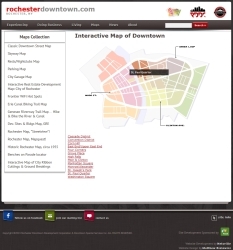 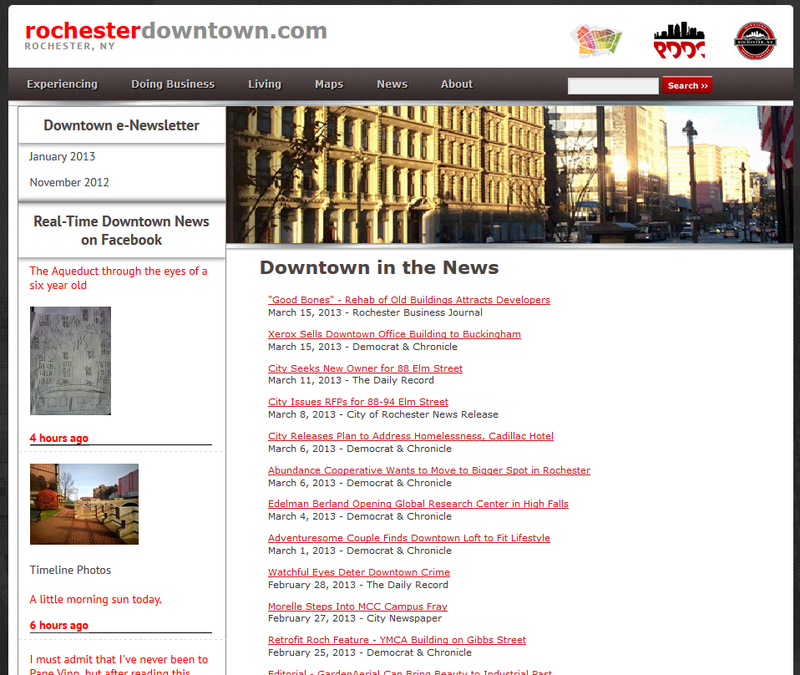 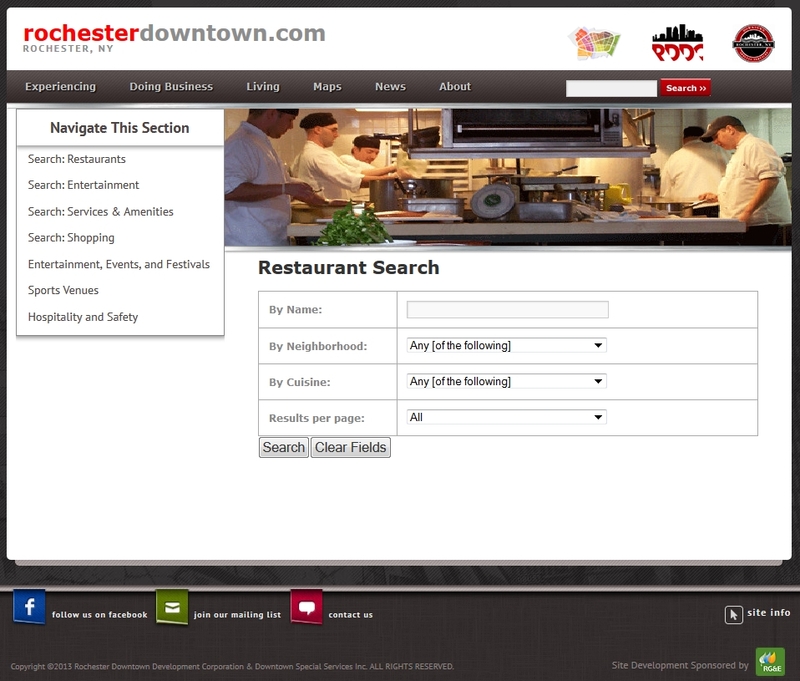 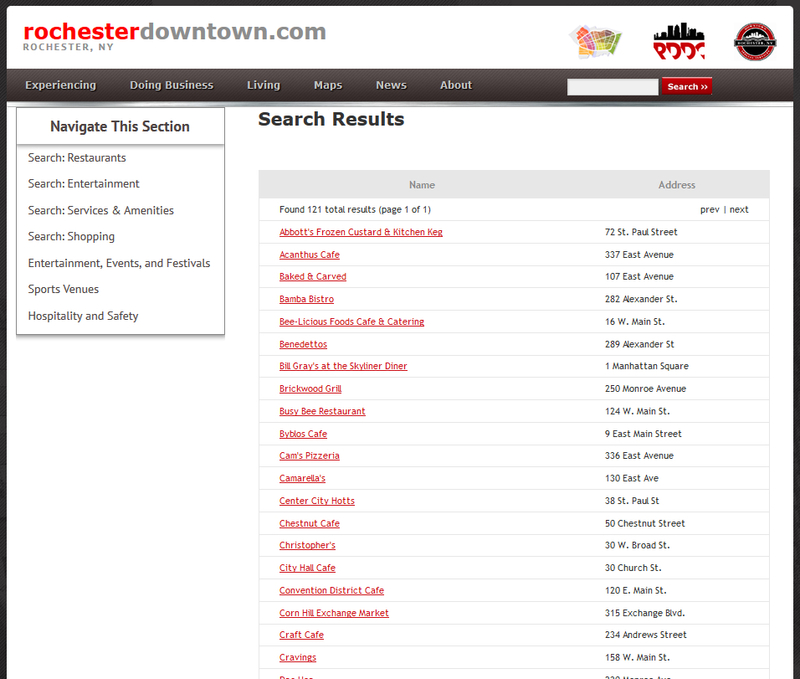 rochesterdowntown.com used to be a mashup of WordPress 2.0 and a half-implemented custom CMS. 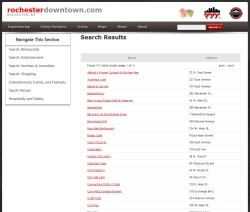 Some of the searches didn't work, data was everywhere and hidden in obscure locations, sometimes even inside Microsoft Word files just posted directly to the internet, navigation was a nightmare, and the poor folks at RDDC's offices couldn't maintain or use the bloated mess the website had become. 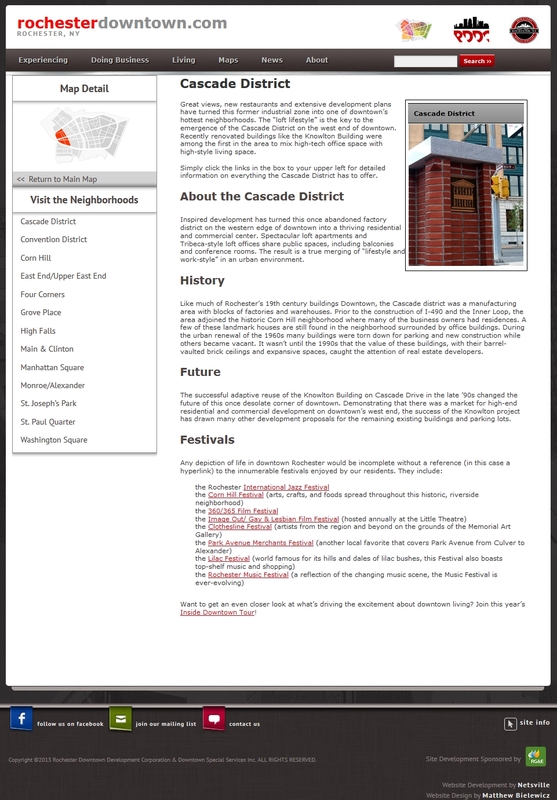 My boss and I determined that the website was such a mess that a fresh, up-to-date installation of WordPress would be the most efficient solution. 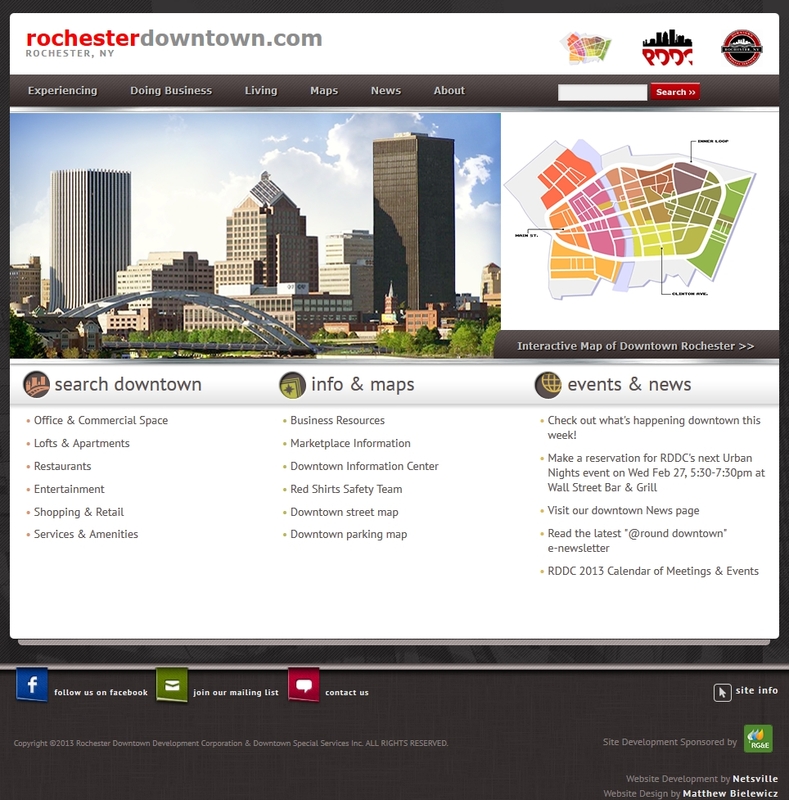 I created the template based off a .jpg, set up menus and widgets in logical places, and determined the most efficient route so that the people at RDDC could do their own updates and content changes. 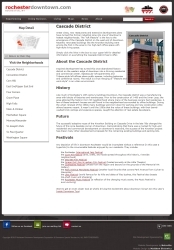 Working with the ladies at RDDC, I copied over and formatted the salient information, organized and condensed duplicate information, and produced a technical document explaining how the site worked and how RDDC could add and change content by themselves.